Maybe I'll do better next month, but I'm not going to stress over it. I'll do what I can. As for my reading challenges, I'm not doing well there either. I have pretty much given up any idea that I'll complete them, but I'm not completely dropping them either. I'll just play it by ear and see what happens. I'm not even sure I'll finish the ones I host - The Harlequin/Silhouette Reading Challenge, James Patterson Reading Challenge (I'll probably finish this one), Alex Cross Reading Challenge (maybe I'll finish) and the What an Animal Reading Challenge (I may complete this one). The good thing about some of these is that they don't end until sometime in 2011. The ones ending in December are going to be much harder for me to complete. I'm going to have re-think if I want to do reading challenges at all next year. We'll see. So, how was your month? 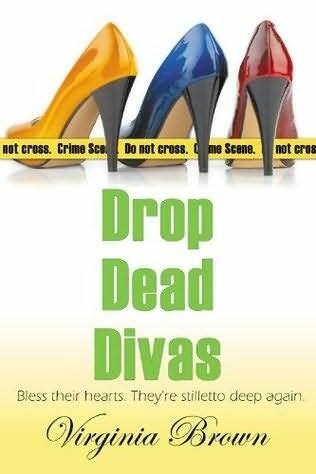 The Dixie Divas of Holly Springs, Mississippi are back and they discover another dead body. It’s been several months since one of their own Divas’, Bitty, was accused of murdering her ex-husband. Now, another murder has taken place and this time it’s the fiancé of the woman who broke up Bitty’s marriage. Bitty couldn’t be more happier to see the “other” woman, Naomi Spencer, be the prime suspect this time. The tables turn when Naomi is found dead and, once again, Bitty is blamed for the murder. When Trinket Truevine first moved to Mississippi she never thought she’d be tossed into the middle of murder investigations. Her plan was simple – leave behind her ex-husband and take care of her aging parents, but plans are never simple when you enter the world of the Dixie Divas. Not only is Bitty her cousin, but she’s her very best friend. There is no way she can sit back and watch her friend get thrown in jail for a crime she didn’t commit. Bitty, Trinket, and the rest of the Divas go on a crazy search for the killer, but when they find themselves as the killer’s target, they wonder what is really happening. As Bitty finds herself facing financial ruin, Trinket is determined to clear her of all suspicion. This is a fun, light-hearted cozy mystery. It’s a bit of a cross between cozy mystery and chick lit. The characters are all hysterical and even Bitty’s dog, Chen Ling is a riot. This is LOL entertainment. The Dixie Divas’ antics can brighten up the darkest of days. I really enjoyed this fast-paced mystery. Just as a side note, this is the second book in this series. I haven’t read the first, but I was able to quickly get acclimated to the characters and the storyline. I do wish I had read the first book just to get more background on the main character, Trinket Truevine, but it didn’t do anything to ruin the story for me. Sunday Salon - Happy Halloween 2010!!!! Booking through Thursday - Skeletons in the closet? I have to honestly say I have no skeletons in my closet. I don't have any children's books at all and I don't even know what happened to all the classics I used to have as a child. I remember having the Nancy Drew/Hardy Boys books...Call of the Wild...but I have no clue where they might be now. I'm guessing they were given away a long time ago. All the books I love are romances, mysteries, paranormals but nothing I'm ashamed to let people know about (even though I know romances get trashed alot - I love them and not the least bit ashamed to say it) So, a pretty boring answer from here. What books are in your closet? By the time Bitty finally hung up the phone and turned to look at me, I had managed to smear pimento cheese on slices of bread, the countertop, and the back of my hand. She sucked in a deep breath and smiled. It was a feline, satisfied smile. "Naomi Spencer has been arrested." This is a cute cozy mystery - kind of a toss up between cozy and chic lit. I'm enjoying it. Musing Mondays - How many books? About how many books (roughly) would you say you own? (If you don’t have a clue how many, do you care to know? Why, or why not? I hate this question because I have embarrassingly large amount of books. I keep track with an Excel spreadsheet so I know I have approx 10,000 unread books. I also have a couple of full shelves of books in my basement of books I have read. These are from the days when I would keep books. Since I bought my Nook in March, I've collected about 600 books for it. Most of them are freebies. These I haven't listed in Excel. I guess I'm never going to worry that I have nothing to read whether it's in print or on my ereader. 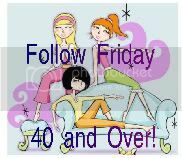 Come join the Halloween Party at Linda Weaver Clarke's blog. Book Give-Away October 25 – November 1: for those interested in Edith and the Mysterious Stranger, leave a comment about this interview with your e-mail at http://lindaweaverclarke.blogspot.com. U.S. and Canada. Have you ever wondered how Halloween got started? Did you know that the Irish immigrants brought the tradition to America in the 1800s? In celebration of Halloween, I'm having a book give away for a historical romance novel. All my books are “sweet” romances for teens and adults. Listen to the video and read the sample chapter and then list one thing that grabs your attention. By the way, the excerpt doesn’t reveal who the mysterious stranger is, just in case you're wondering. With mysterious letters, cattle rustlers, a spunky woman, the liar's fire, Halloween, and young love, there is always something happening. Tom Wingo is the son of a dysfunctional family from the South Carolina low country. His father is abusive and his mother lays the guilt heavily over her three children. Things aren’t looking good for Tom as he loses his school coaching job and his wife informs him she is in love with another man. Life takes another horrible turn as his mother arrives and tells him his beloved twin sister, Savannah, has been institutionalized in New York City for attempting suicide. Tom rushes to his sister’s side, but her psychiatrist, Susan Lowenstein, refuses to allow Tom to see Savannah. Dr. Lowenstein fears his presence will make Savannah retreat even further into despair. So Tom gives the doctor a full history behind the Wingo family in the hopes that it will explain what lies behind Savannah’s mental illness. It doesn’t take long for Tom and Susan to grow close and fall in love, but Tom is still attached to his wife and daughters. It’s not an easy bond to break. I loved the first half of this book. The characters were well-developed and they were all people I could either love or hate. They all came to life quite vividly. I found myself wondering what happened to make the Wingo family what they became. My one problem with the book is that I thought it was too long. I prefer more dialogue and less description in my books. This was the opposite. I felt as if the book could have been a couple of hundred pages shorter and work beautifully. Still, this was a good read and I’d be interested in reading more by this author. I hope everyone has a great weekend...I don't have anything special planned. I just want to relax and unwind and, hopefully, finish reading The Prince of Tides. I'm, once again, falling way behind on my reviews and I'm starting to feel overwhelmed. Why I do this to myself is beyond me! This is a fun Book Blogger Hop hosted by Crazy-for-Books. At home it's definitely in bed. 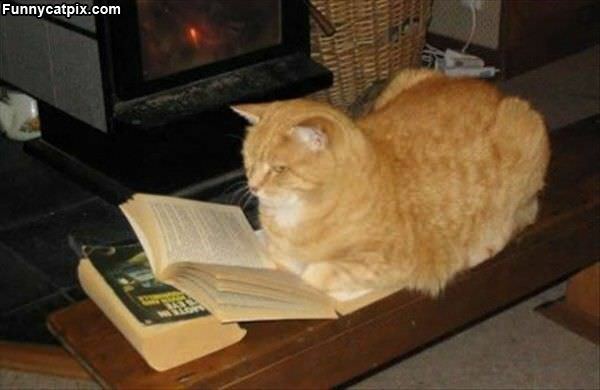 I love curling up under the blankets and reading. Another place I love to read is at Barnes & Noble. They are located across the street from where I work so I go there at lunch time with my Nook. They have these huge comfortable chairs and couches set up. Quite a few people spend time reading or on their laptops. Plus they have a Starbucks so I grab a cup of coffee and unwind reading my Nook there. It's a nice way to break up the work day. 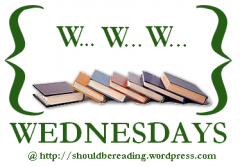 Musing Mondays - What type of book? Definitely mass market paperbacks. They are easier for me to hold and transport. I can easily slip one in my pocketbook when I go out. Also, we travel alot and they are easier to pack. I, also, have a huge TBR so it's easier to store the mass market sized books. This is the huge reason I love my Nook so much. The storage and traveling part are eliminated :) My Nook has everything on it. The other thing, to be honest, is the cost. Hardcovers and trades can be too costly (although, lately, mass market can be just as much or close to it). 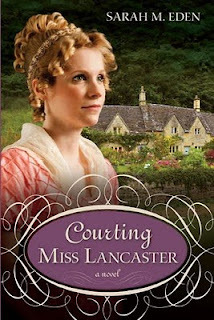 Book Give-Away October 18 - 25: for those interested in Courting Miss Lancaster, leave a comment about this interview with your e-mail at http://lindaweaverclarke.blogspot.com. U.S. and Canada. Courting Miss Lancaster is an historical romance set in the era of Jane Austen, Napoleon, and Mad King George. It will make readers laugh and sigh, but probably mostly laugh. And, of course, it has a happy ending. Journalist Nick Daniels is given the assignment of a lifetime. He is going to interview a former baseball star who has been a recluse for many years, thanks to a scandal which destroyed his career. Nick is about to learn the real story, which no other reporter was ever told. When Nick finally meets the legendary ballplayer at a local restaurant, there’s more than a scandalized sports star involved. A mob hit takes place at the table next to theirs and the only witness appears to be Nick. Before he knows it, his life is in danger as well as everyone he holds near and dear to his heart. 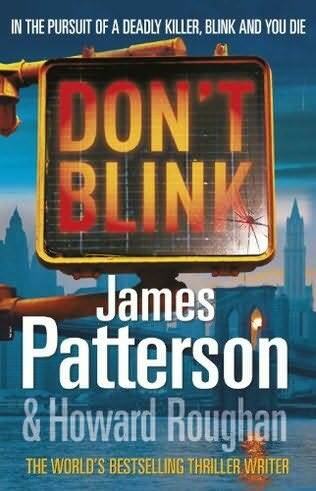 Another James Patterson page turner! Everyone who reads my blog knows what a huge fan I am of his and this book is no exception. I loved every minute of it! Not my favorite of his books, but still it’s right up at the top of the list. Patterson, writing with Howard Roughan, gives us a cast of characters that come to life on each page. It’s a fast-paced book with a storyline filled with twists and turns which keep readers on their toes until the very last page. I never did this one before, but it looks like fun...It's hosted by Crazy-for-Books. This week's question comes from Christina who blogs at The Paperback Princesses. I used to stick with everything I started reading. I never left a book unfinished no matter how much I disliked it. These days, I don't do that. I'll stop at around 50 or so pages, but I might try coming back to it at a later time. I've done that a few times and I found I enjoyed the book the next time I tried. Perhaps it was the mood I was in when I first tried to read it. It's a bit harder when it's a review book. I feel like I really need to complete those since they were sent for a purpose, but I might not review it as quickly as I normally would. 1. My favorite month is May because it's when I got married. 2. It's refreshing in the summer to get a fresh breeze. 3. I love to sniff french vanilla coffee. 4. French toast is what I like to have as a treat for breakfast. 5. The hobby I enjoy most is reading. 6. It's the weekend - oh my! 7. And as for the weekend, tonight I'm looking forward to watching the baseball playoffs, tomorrow my plans include watching more baseball and grocery shopping and Sunday, I want to rest and catch up on TV! This was a fun quick read! "Domino's Pizza," he joked. "You like pepperoni?" I laughed. Never did a laugh feel so good. "No, I'm calling for backup," he said. "It's time you and I got the hell out of Dodge. A dead surgeon and reporter won't do much for world peace and all that good stuff we care so much about, huh, Nick?" 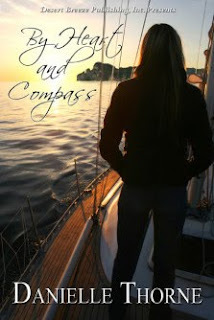 Heart and Compass, leave a comment about this interview with your e-mail. again. But will finding it cost her heart? Sunday Salon - Almost a Reading Slump! After reading the Midnight Kiss anthology, I must have picked up 3 or 4 books and I couldn't get into any of them. I hate reading slumps and I was sure a big one was on the way, but then I chose a Harlequin Intrigue and I was immediately pulled in. Now, I can't wait to see what I'm going to read next. I think I may have gone too "review happy" and just couldn't deal with another review. Maybe I just wanted a book that was for fun and maybe even part of a couple of reading challenges. I was curious to see how everyone deals with reading slumps (I'm sure everyone has one at one time or another.) What do you think causes them and how to you snap out of it? I'm convinced my problem is what I call "deadline" reading. Sometimes they are fun, but sometimes I bite off more than I can chew and the experience becomes more of a chore than fun. Reading is supposed to be my hobby, not my job. I have one of those already :) It's my own fault for getting myself into these things, nobody is forcing me and nobody really puts any deadlines on me either. I do that to myself. This time was an easy one because the slump didn't last past a few hours - LOL - but there have been times it lasted much longer than that. I think the best way for me to deal with it is to read something that's totally for pleasure and not for a review. At least that's what worked this time.